We're humbled to be among so many exceptional companies and look forward to celebrating with them at the awards in April. 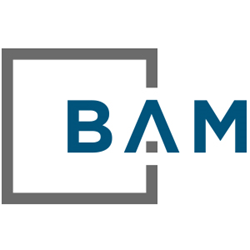 BAM, a leading provider of financial technology for the transportation, construction, oil and gas and staffing service providers, today announced its nomination as a finalist for the 2018 Pacesetter Awards by the Atlanta Business Chronicle. Each year these awards recognize and rank 100 of Atlanta's fastest-growing, privately-owned businesses for their hard work and success. "We made some big decisions and embraced many positive changes in 2017," said Todd Ehrlich, CEO of BAM, "We couldn't be happier to be recognized for the team's efforts with a Pacesetter nomination. We're humbled to be among so many exceptional companies and look forward to celebrating with them at the awards breakfast in April." BAM applies technology and operational efficiency best practices to help its clients increase their overall financial performance. The company's BAMwire™ solution is a custom-built operations platform that is revolutionizing the way freight carriers and brokers manage transactions and build processes. BAMwire allows users to book loads more quickly, reduce days to pay, improve credit scores and build stronger relationships while increasing cash flow. To learn more about BAM and its most recent updates, visit http://www.bamfi.com. BAM is a leading provider of cash management and working capital solutions for transportation, construction, oil and gas and temporary staffing service providers, committed to helping clients increase their financial performance through operational efficiency. BAM's proprietary payment processing and cash management engine, BAMwire™, allows businesses access to capital more quickly, reducing days to pay, improving credit scores and building stronger vendor relationships while increasing cash flow. Unlike traditional bank lending or factoring arrangements, BAM uses proprietary technology to improve access to capital across industries and service providers. Learn more at http://www.bamfi.com.